Have you ever wanted to eat something just because it was capable of eating you? Something like shark, lion or alligator, for example. Well former San Francisco Mayor, a shark of a politician in his own right, had just that opportunity and turned it down. Da mayor in his Sunday column for the San Francisco Chronicle shares the story about how he recently went to eat at Picán in Oakland and he was welcomed by one of his "pet peeves." Brown was served free samples but he immediately sent them back. Not because they were free samples but because what the free samples were. 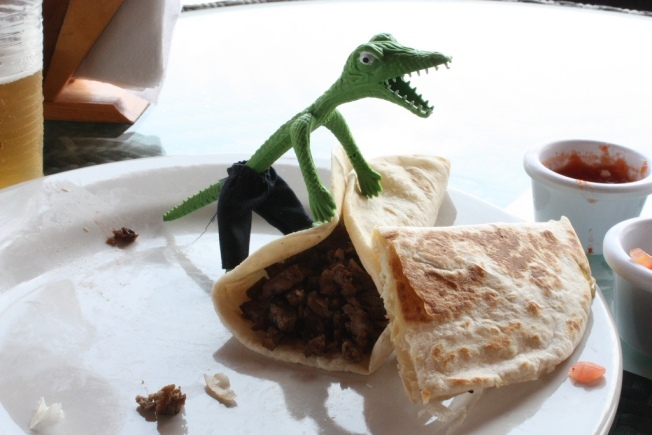 It seems Brown is not a fan of alligator taco. "I sent them back, telling the waiter, 'I don't eat alligators. I wear them,'" the mayor wrote.